Running your own business can be challenging and quite daunting at times, especially in today’s climate. But when you get that proverbial ball rolling, it can be incredibly rewarding. To aid a successful business, you not only need the right ideas and the right team but the best lab and office space in which can help you and your business to thrive and grow. When considering moving your business into its own space, it may provoke apprehension as it is a substantial venture. With this said, it is vital that as a business owner, you ask the right questions to assess whether you are ready to move into your own office space. If some of the pointers in this article seem familiar to you, then it may be possible that it is time to make that leap and consider moving into a new office space. Here Sci-Tech Daresbury give you tops on deciding if your business is ready to move into its own office. If you are considering moving into your own office space, then it is most likely that you have already recognised that your business’ future is looking bright. If money has been coming in at a rapid pace for a substantial amount of time, maybe over a year or so, then you could definitely consider moving into your own office space to expand your business further. Your own office space should be a business venture that only benefits your company, not falters it. This is why it is vital to know that your business is sustainable enough to afford the move, and it not be detrimental to your business as a whole. Your own home can be a great place to base your small business in the early days. It’s comfortable, it’s familiar and you can control your working hours very easily. However, as your business grows, and your work amount increases, as do your levels of procrastination. As your business becomes more demanding and well-known, you do not have time to be distracted. When in your own personal space there will be a lot of things that will take you out of your working mindset. Plus, it’s always healthy for your mental well-being, as well as your motivation and work ethic, to have a separation from your work and where you relax. If you find yourself sat at your desk at home being easily distracted and doing very little work over a large amount of time, then it is time to move your business into its own office space where you can divert all your time, energy and focus into bettering your business. Maybe you have realised that working from home is halting your progress. A lot of people opt for leaving the house and going to a local coffee shop or library or any other busy environment, to complete their tasks. Some do find it beneficial to work around others who are also working, as it creates a good environment of focus which would consequently contribute to concentration and your businesses’ development. If you have found that working in another environment other than your home has shown to improve your work ethic, then moving your business into your own controlled work environment will benefit the quality of your work, your time management and consequently aid your business. Obtaining a substantial client base is the sure, albeit obvious sign that your business is on the right path to becoming successful. As your clientele grows, it will not only mean additional workload but more exposure for your company. With more exposure comes even more clients, and before you know it you’ve got a solid, thriving business. But a solid, thriving business will mean that you need more space. 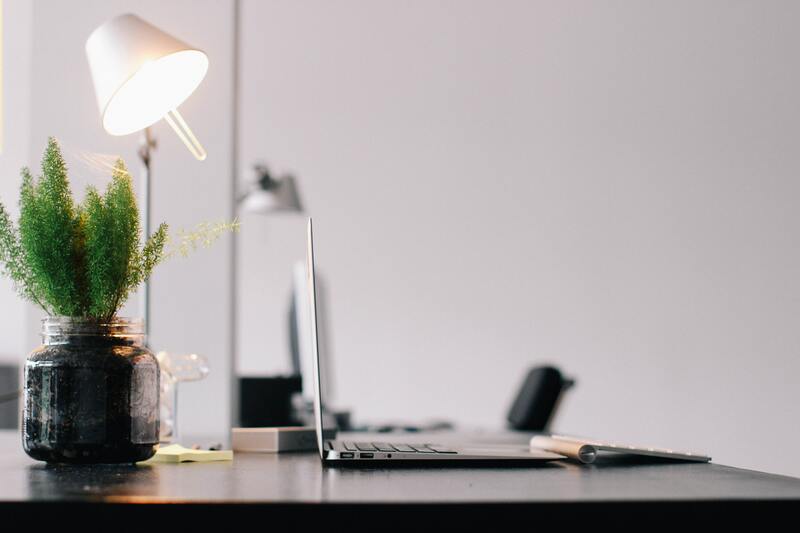 Having your own office space to work from will allow the right atmosphere and the right setting to adhere to all your new clients and all the work that comes with them. Also, professional surroundings give you the perfect setting for client meetings- allowing your company to be portrayed as an expert, reliable and serious about providing top quality service. Securing this reputation through a professional setting and quality customer care, your office space will be a sure-fire way of sustaining your business’ success. As previously stated, signs of a growing business can be seen in the clientele growth, as well as the rising workload. Hiring more staff and building your team to distribute the workload and to ensure that clients are getting full divided attention and service will certainly call for bigger space. If you’re finding your team to be vastly expanding, to ensure they have a work environment where they can focus and achieve the best for your business, you will need an office space that will adhere to your business needs and that will accommodate to your ever-growing team as well as your business. More on growing your business and home office. Previous Post: 5 tips for improving your money management Next Post: Why is digital marketing essential for startup growth?